This young star has the potential to become one of the most sought-after male artist of his generation. 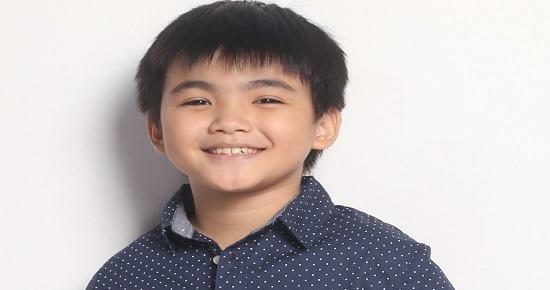 David Remo realized his special place in the industry when he worked with his idol, Dingdong Dantes, "I became more inspired to act when I worked with Kuya Dingdong Dantes in Pare Ko'y." Ivan Dorschner is a special guest performer at Starcom Mediavest Group's Christmas party tonight! Check out Global Endorser Gabbi Garcia's look for tonight's Unilever Christmas party! 'Wag kalilimutang tutukan ang huling gabi ng #PamilyaRoces! Tweet with us using our official hashtag: #PRTheFinalReunion! Samahan ang TOPSTARR TV Kids sa Christmas kantahan at kulitan with Julie Anne San Jose sa #TOPPSTARTV ngayong Sabado, 9:15am sa @gmanetwork! #teaser: Sino ang mamamaalam kina Crystal, Jade, Amber, Pearl at Amethyst?Tutukan ang huling gabi ng #PamilyaRoces! Tweet with us using our official hashtag: #PRTheFinalReunion! #TasteBuddies host Gil Cuerva also performed and auctioned his shoes at today's #NoelBazaar2018 at the SMX Convention Center! Joyce Pring hosted the opening of the #NoelBazaar2018 at the SMX Convention Center earlier today! Celebrity Ukay-Ukay Ambassador Barbie Forteza performed and auctioned her beautiful dress at the #NoelBazaar2018 earlier today at the SMX Convention Center! LOOK: Barbie Forteza, Gil Cuerva, and Joyce Pring during the opening of the #NoelBazaar2018 at the SMX Convention Center earlier today! BTS: Ameera Johara and Matthias Rhoads on the set of #AsawaKoKaribalKo! Asia's Pop Sweetheart Julie Anne San Jose at the opening of @miniso_ph in SM City Novaliches! Kiray Celis is now a certified Kapuso! Birthday: November 19, 1996 Height: 5'4"